Enjoy any coffee you like at your desired strength for a fraction of the price of regular k cups! 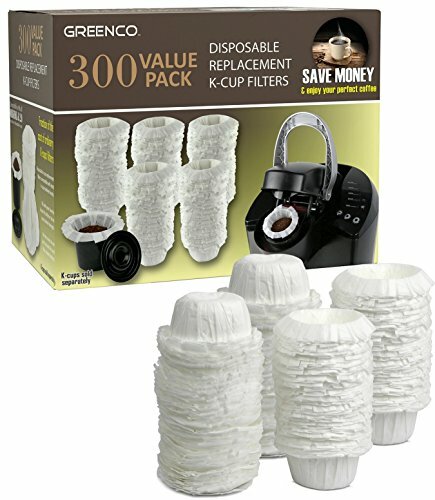 value pack of 300 mess free filters just toss it out when done. If you have any questions about this product by Greenco, contact us by completing and submitting the form below. If you are looking for a specif part number, please include it with your message.